Sporting the luxury we have come to know and love from Lexus, plus a powerful powertrain under the hood, the brand new Lexus LC is a stand-out in the 2018 model lineup. 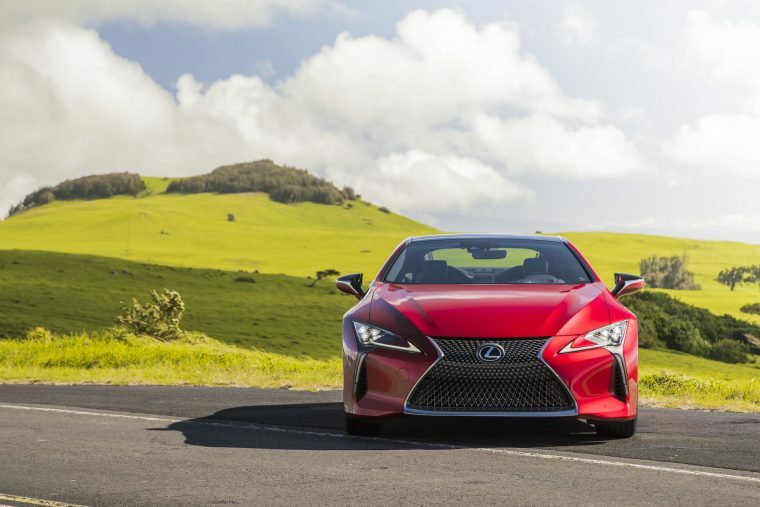 The 2018 Lexus LC is available at one trim level: the LC 500. What’s New for the 2018 Lexus LC? 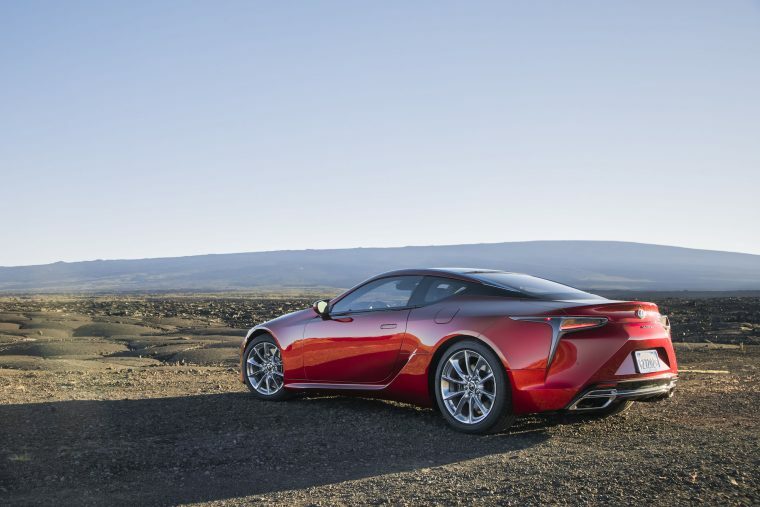 The Lexus LC is brand new for the 2018 model year. 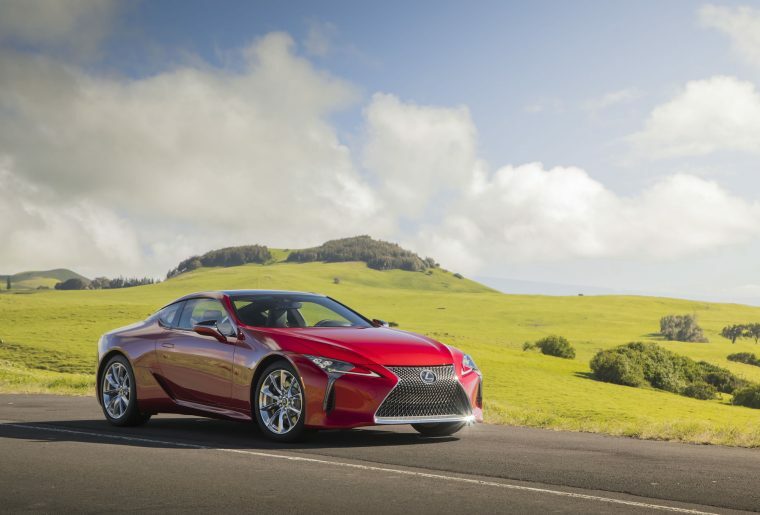 The LC is available in both the standard coupe (featured in this overview) as well as a separate hybrid model. 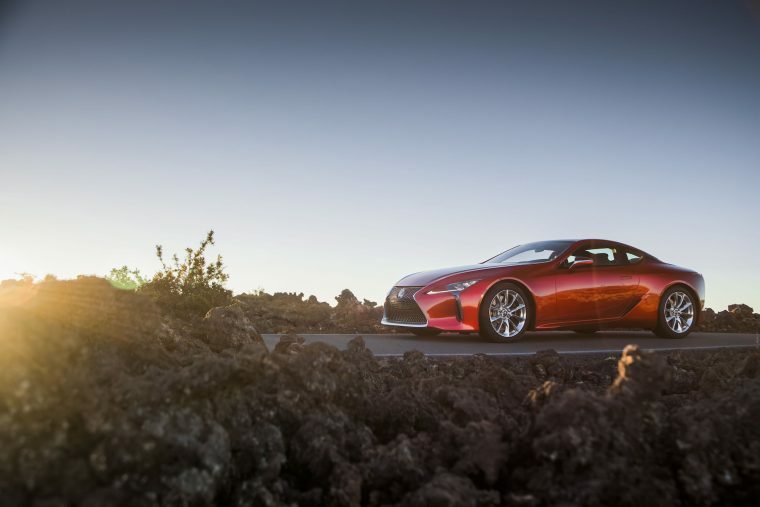 Decorated with LED lights on the headlamps, cornering lamps, turn signal headlamps, and taillamps, the 2018 Lexus LC lights up the roads left and right. Heated electrochromic auto-dimming sideview mirrors with memory provide extra luxury on this already luxury coupe. The LC also comes standard with 20-inch wheels. This luxury coupe sports luxury inside the cabin and under the hood. Equipped with a 5.0-liter V8 engine, the 2018 Lexus LC packs a punch. Its V8 engine is paired with a 10-speed Sport Direct Shift automatic transmission with paddle shift and manual mode, earning it 471 horsepower and 398 lb-ft of torque. 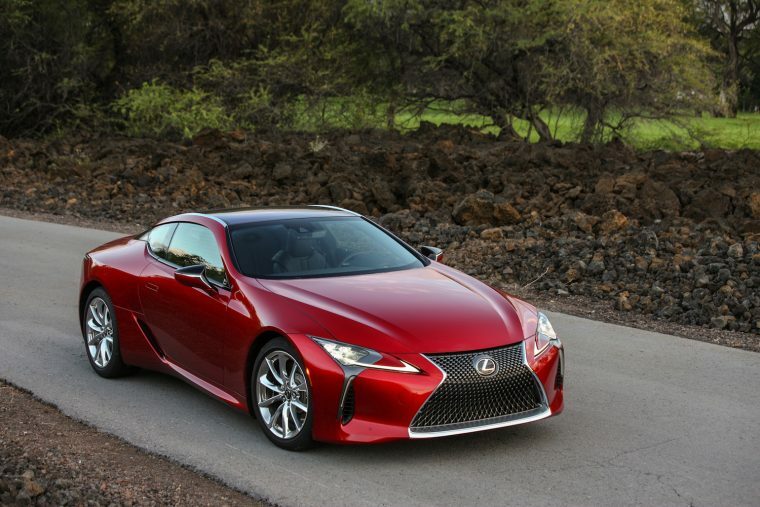 *Preliminary mileage estimates determined by Lexus. EPA mileage estimates not available at time of posting. Actual mileage may vary. The 2018 LC’s cabin sports beautiful interior finishes; with leather front seats and NuLuxe rear seats, the brand new LC provides luxury right from the baseline. In terms of technology, the luxury coupe comes standard with an 8-inch LCD FTF multi-information display alongside an HD™ Radio with Sirius XM® Satellite Radio and a 12-speaker premium audio system. With more than ten standard safety features, Lexus is dedicated to helping you stay safe in the new LC. The 2018 model comes with active safety features within the Lexus Safety System+. The system includes features like a Pre-Collision System with Pedestrian Detection, Lane Keep Assist/Departure, Steering Assist, and more to act as your second set of eyes on the road.